Pocko is proud to announce TACTILITY, a group show of contemp-orary fashion illustration from around the world. Kansas City Art Institute is a four-year, independent and accredited college of art and design founded in 1885, and located in the cultural heart of metropolitan Kansas City, Missouri. The college enrolls over 600 undergraduate students drawn regionally, nationally and internationally. Although the position is open until filled, fullest attention will be given to those applications received by December 1, 2016. Applications received during the on-campus finalist stage of the search are not guaranteed consideration. Applications with accessible PDF files and workable web links will normally be acknowledged by return e-mail within one week of submission. Cover Revolution! is an exhibition and book (published by Corraini Editions) that aims to document the revolution taking place in Italian bookstores, featuring work by the most popular and beloved Italian illustrators such as Lorenzo Mattotti, Franco Matticchio, Guido Scarabottolo, Gianluigi Toccafondo, Emiliano Ponzi and Olimpia Zagnoli. The exhibition will be held at the Italian Cultural Institute in New York, in Milan at the Laboratorio Formentini from November 7–25, 2016 and in Dublin at the Italian Cultural Institute from November 19, 2016–January 29, 2017. 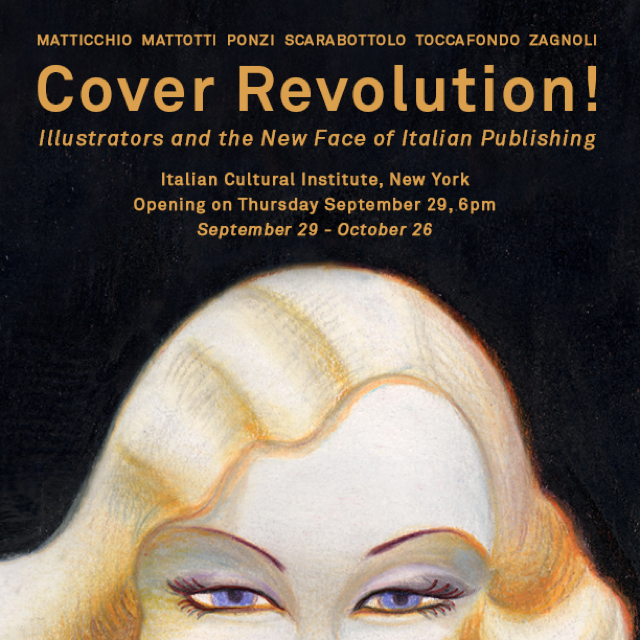 Guido Scarabottolo and Emiliano Ponzi will attend the New York opening on September 29.